Calculators to figure out your Cost, Price, and/or Margin/Markup percentage. Calculator for figuring out sales commission. Basic calculator allowing you to stay in the app when tallying totals. A crucial calculator app for anyone in business. Whether you are trying to figure out the optimal price point for your product or trying to identify your current margins or markup percentages, this app is for you. 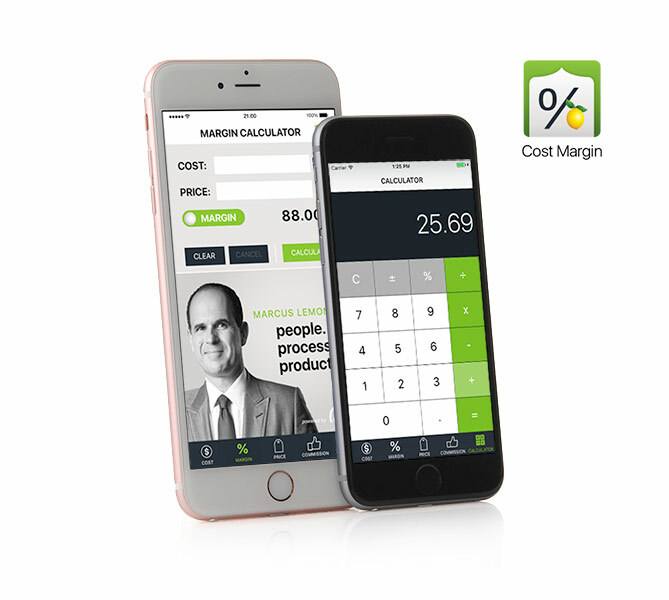 Originally released in 2013, we re-released the app in 2017 with Marcus Lemonis from CNBC’s The Profit. It is available on iPhone (iOS) and on Android.